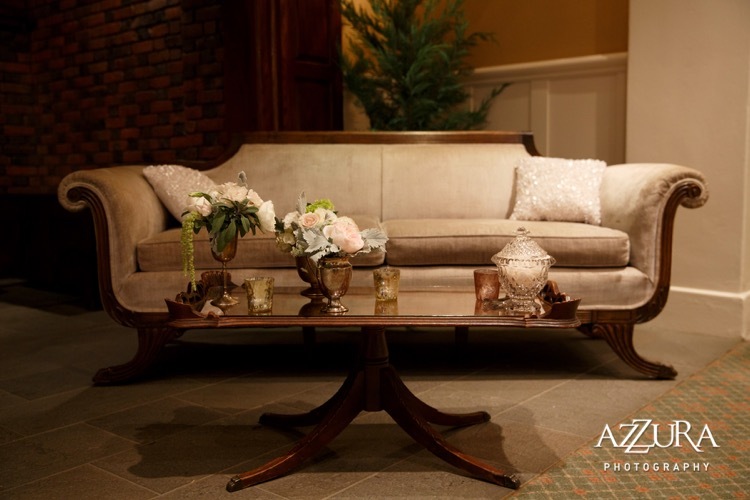 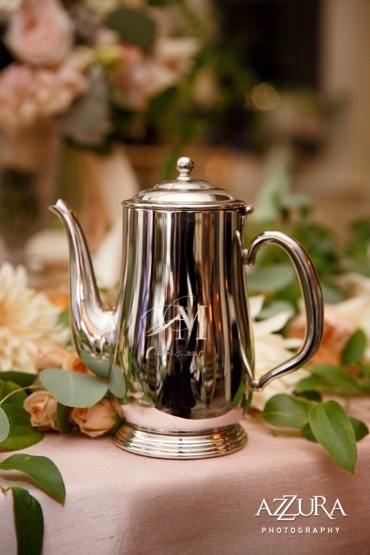 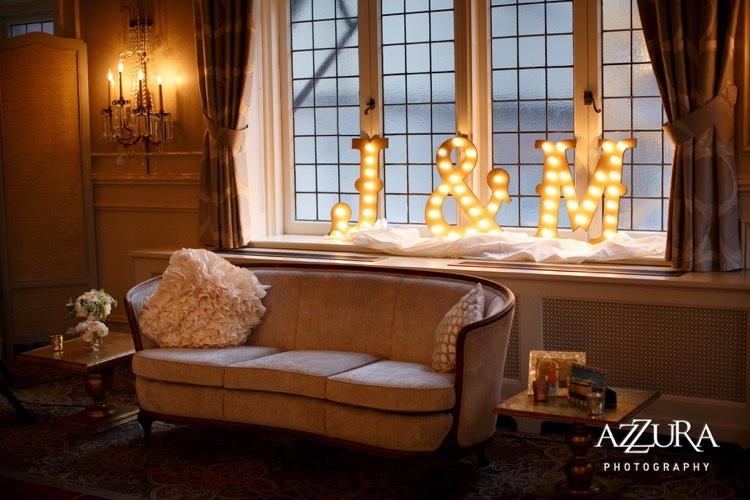 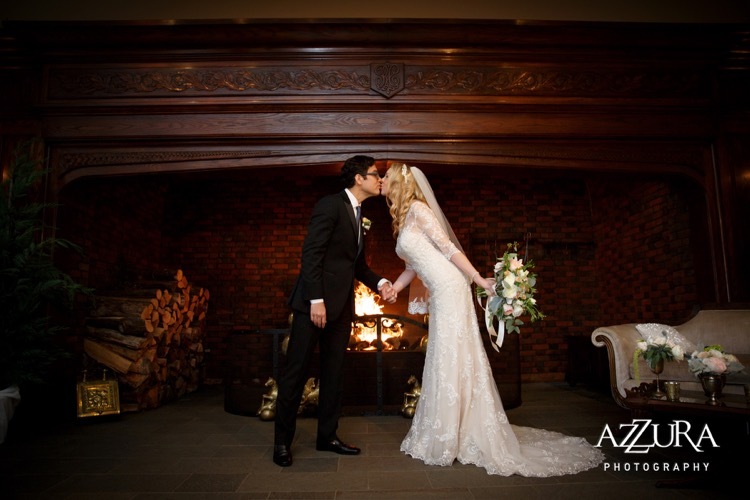 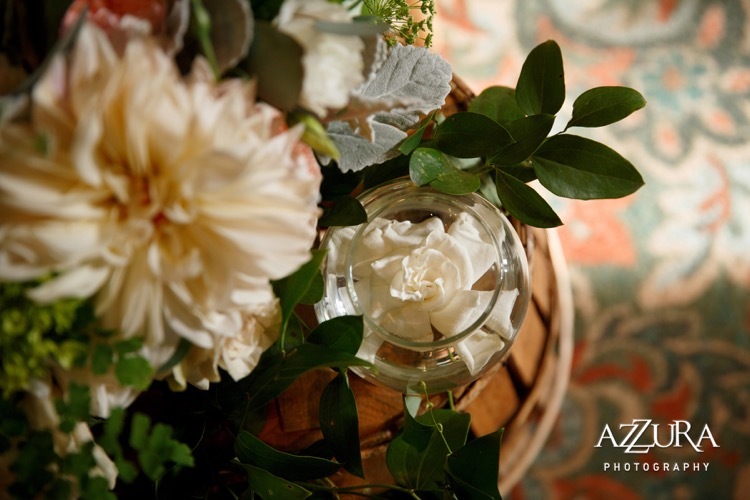 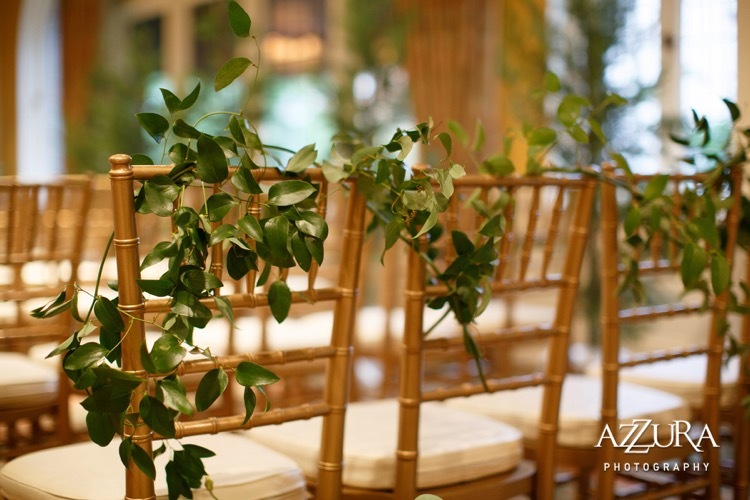 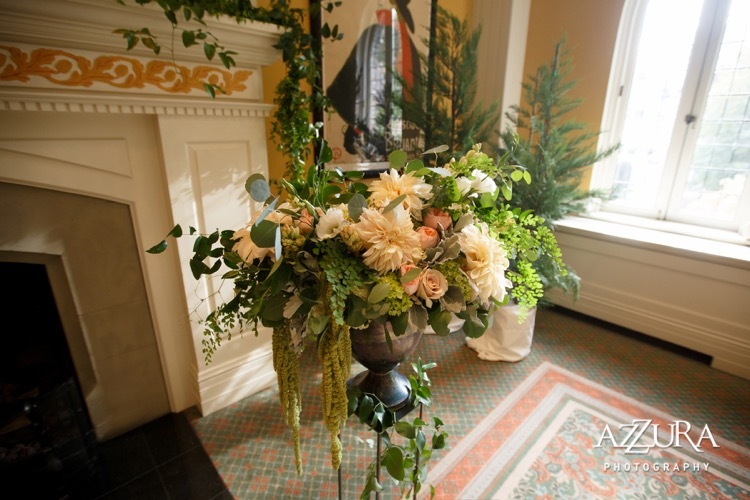 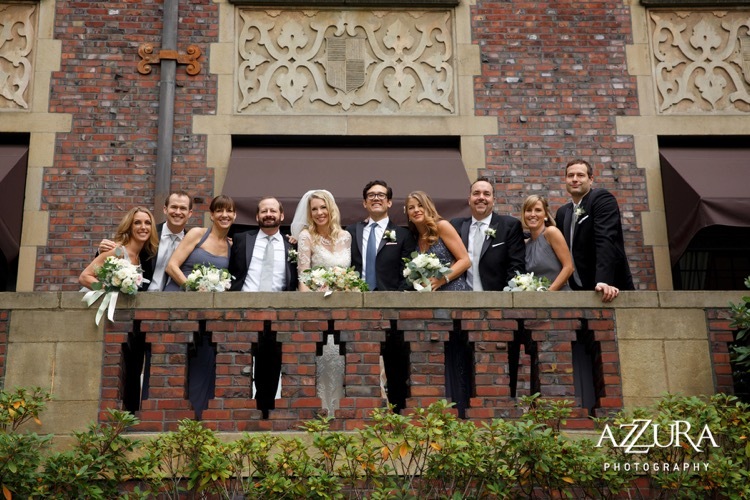 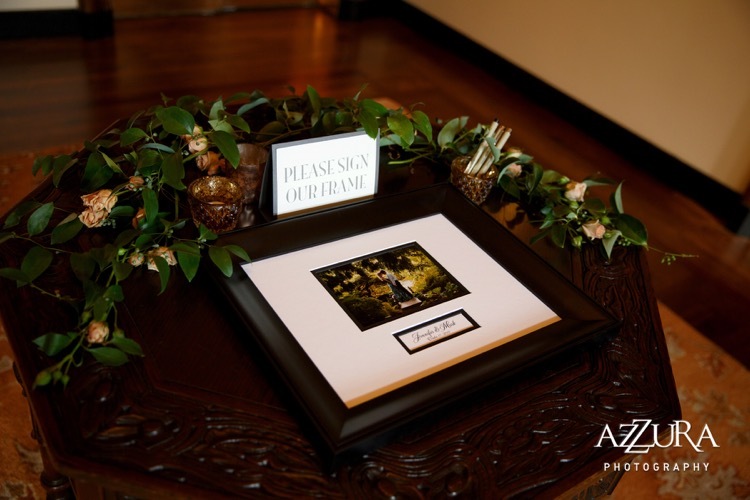 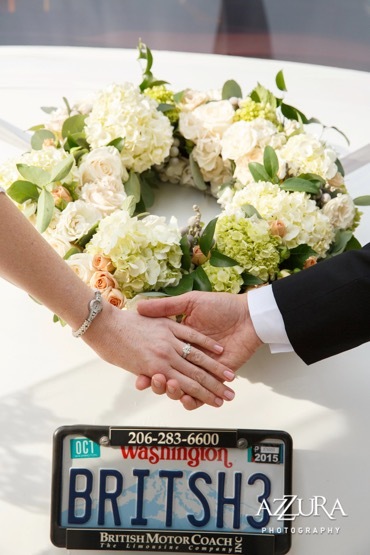 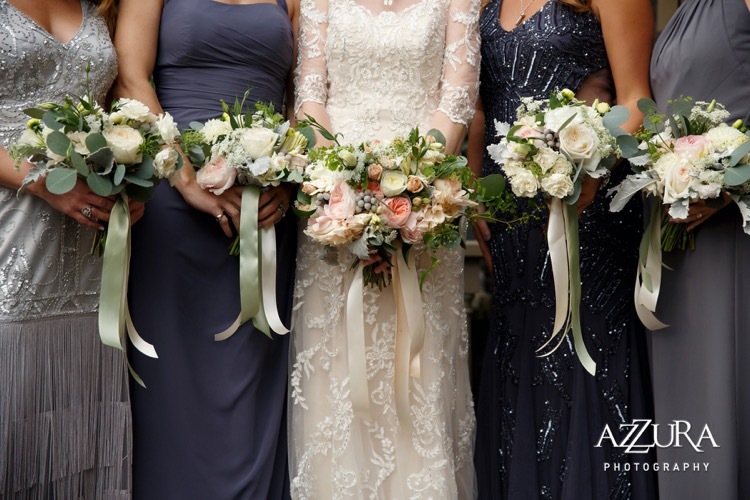 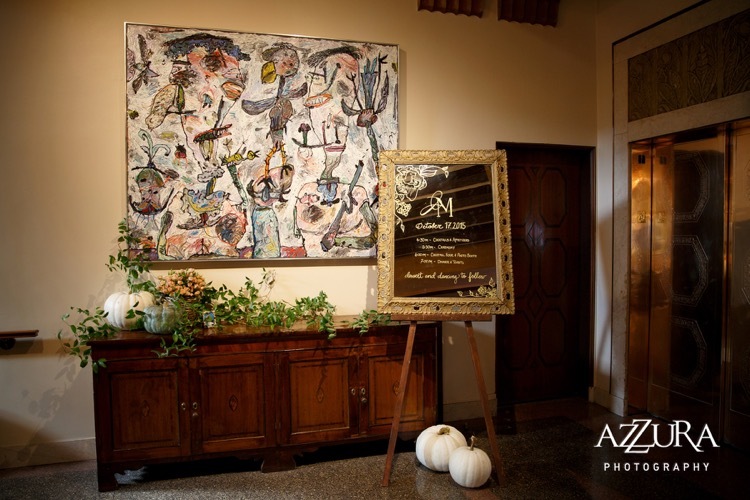 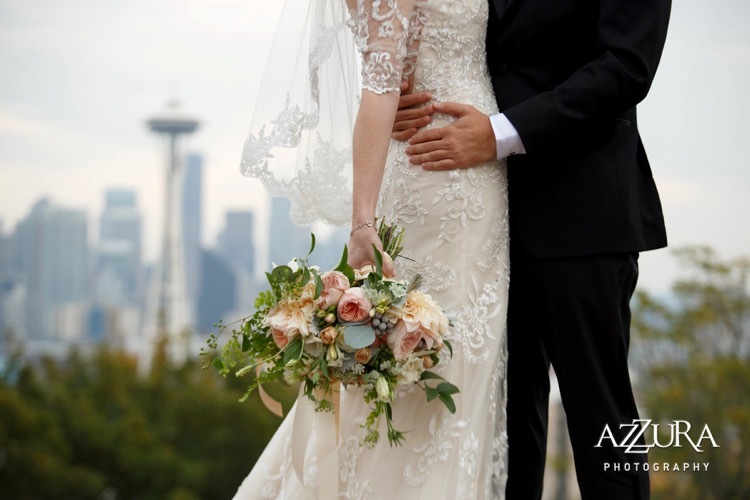 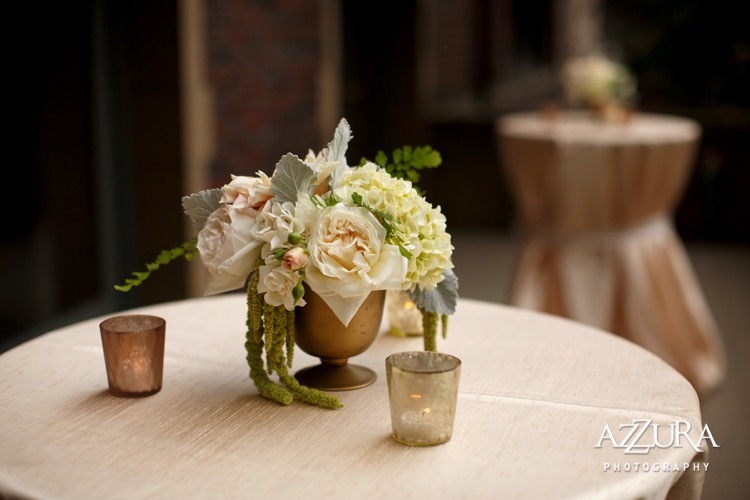 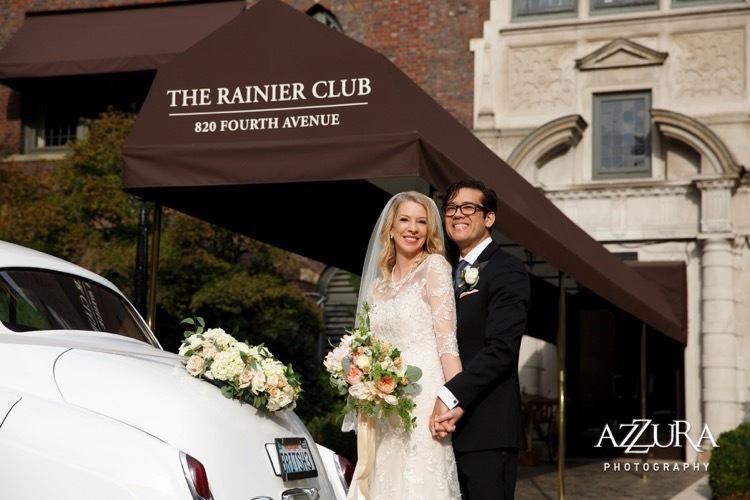 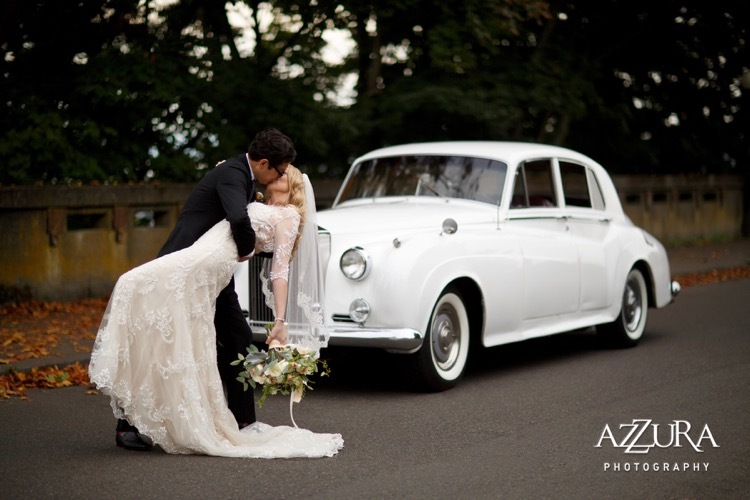 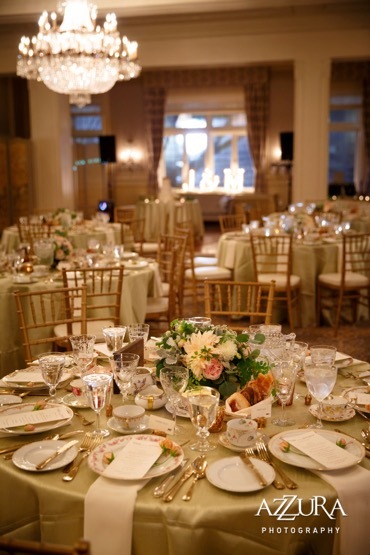 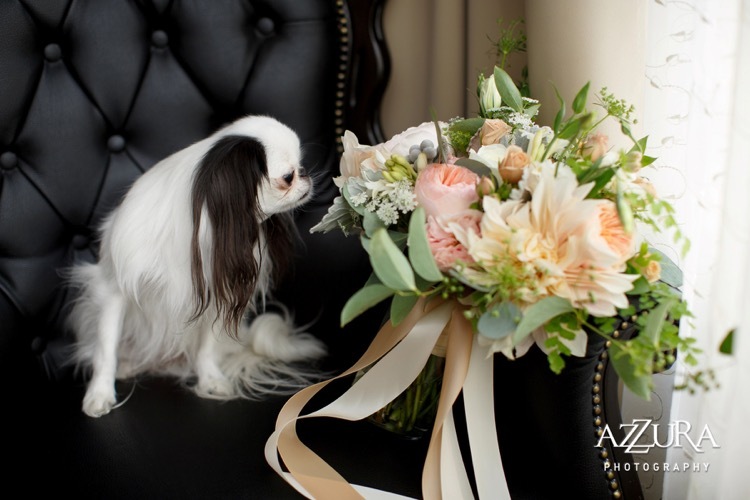 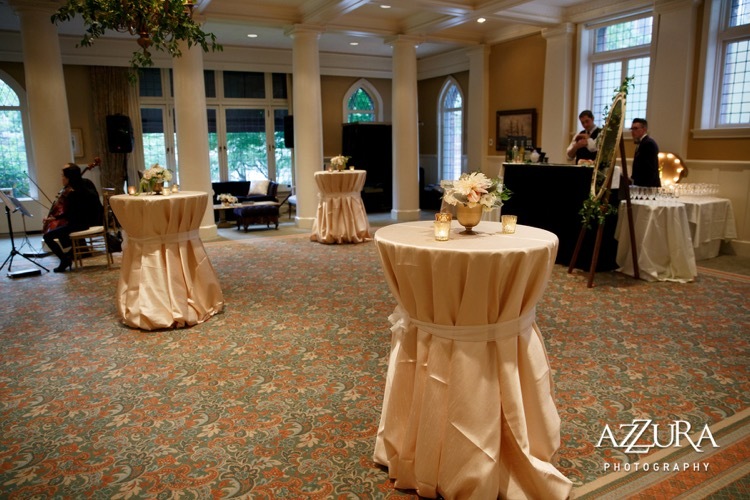 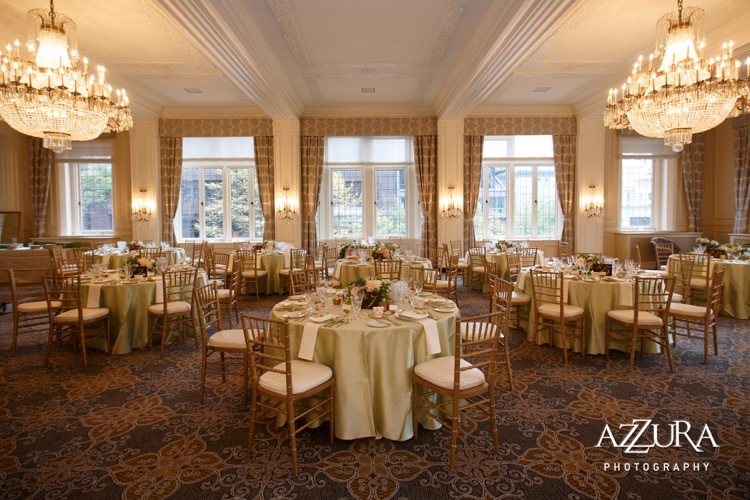 Last October we worked with a team of vendors to pull off a stunning wedding at The Rainier Club in downtown Seattle. 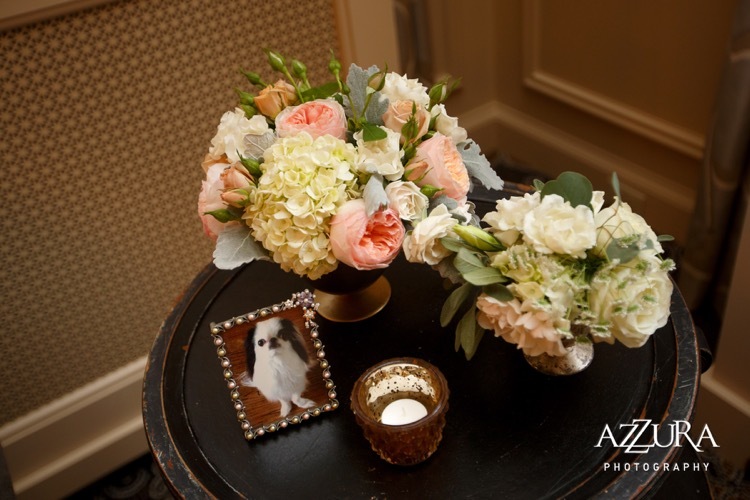 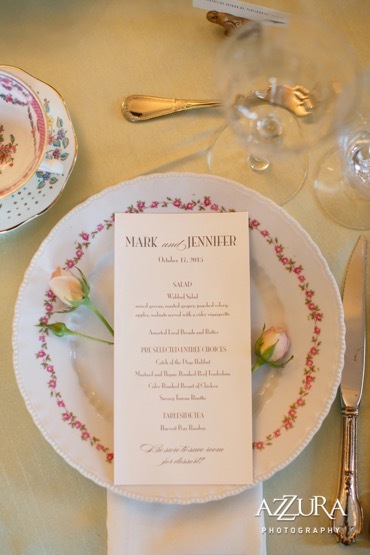 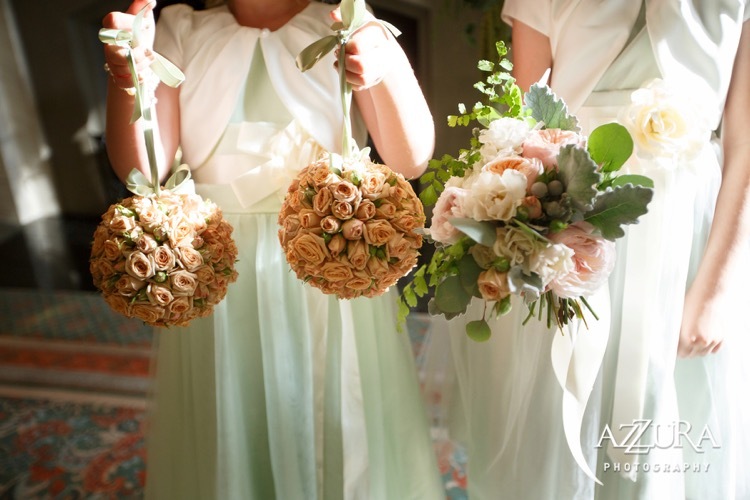 The bride wanted to feminine, dreamy flowers to grace the space. 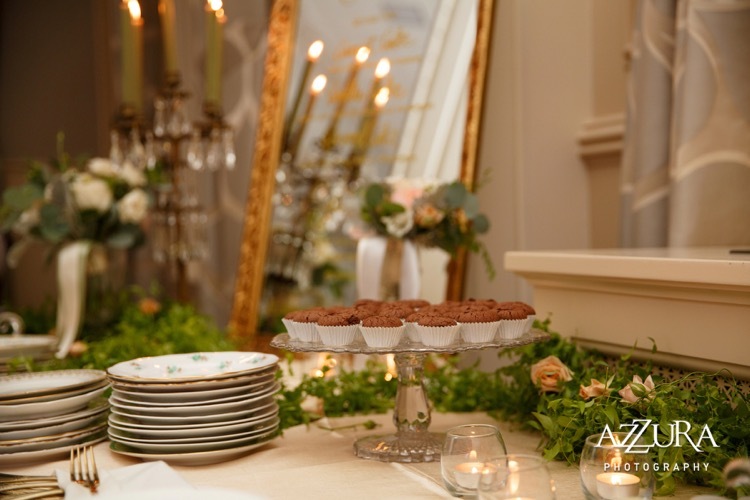 Other details like table-side tea service, a Butler to greet the guests and wicker basket filled with flowers came to be. 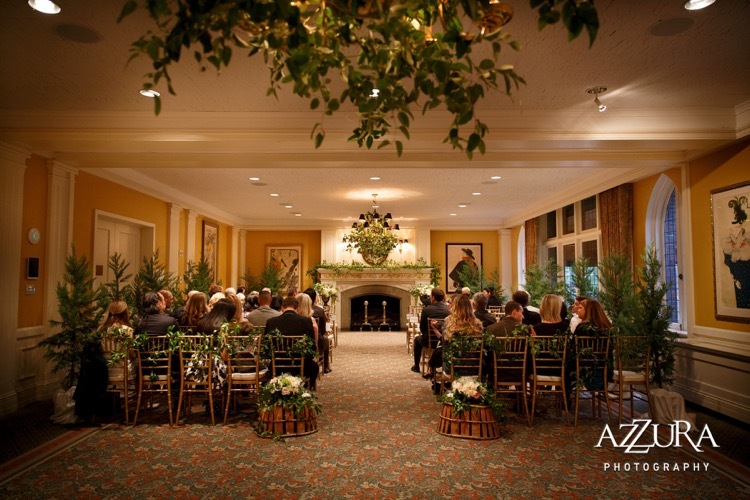 All to create a magical evening for this intimate group. 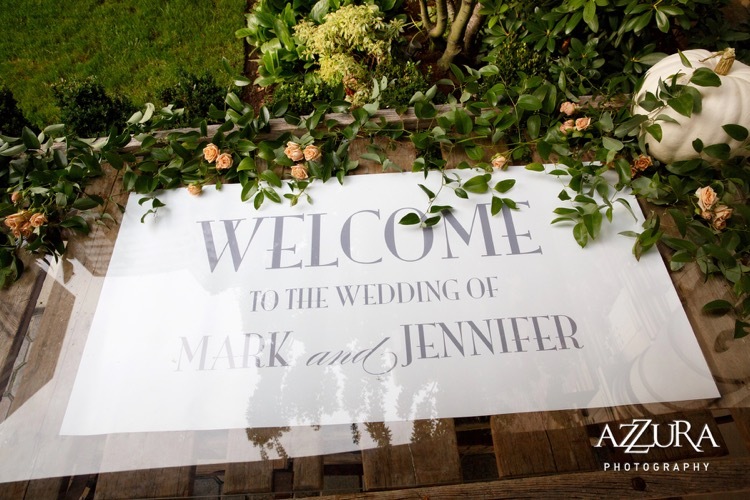 Throughout the planning process the wedding had been scheduled to take place at Court in the Square, until no less than 2 days before, when a transfer of venues became necessary. 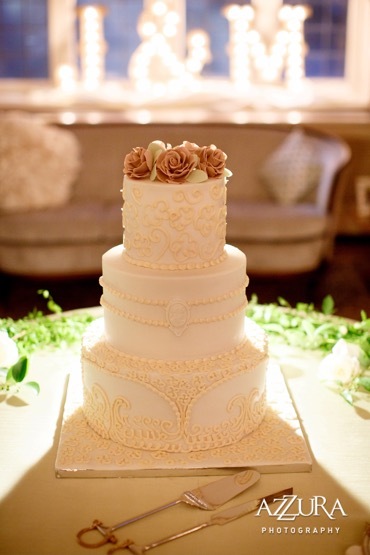 What an exciting feat, that turned out beautifully! 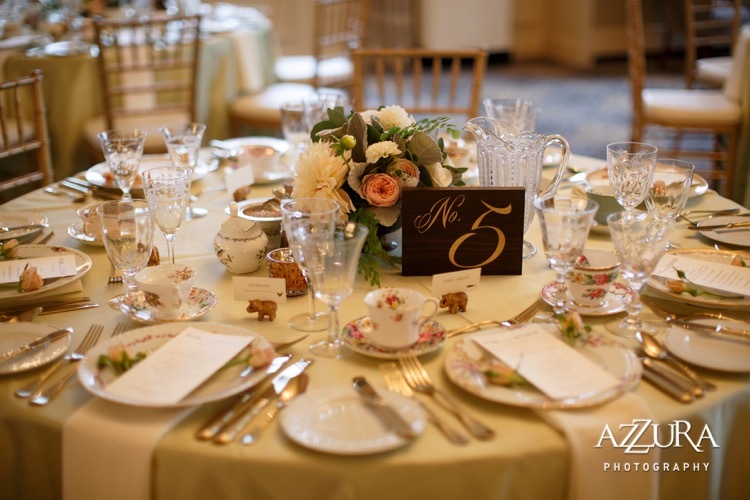 Pink Blossom Events coordinated the affair, with Vintage Ambiance, Paper Fling, 321 Foto, Espresso Elegance, Queen Mary Tea, Erin Skipley Makeup, British Motorcoach on board as well. 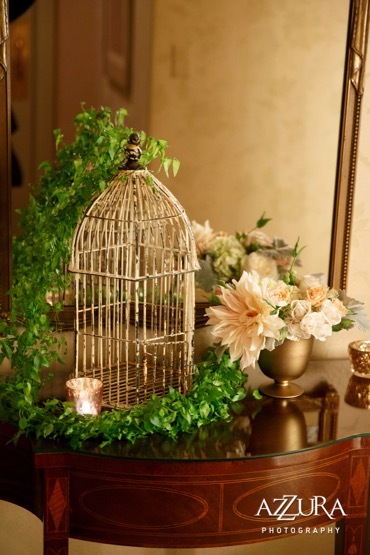 So many details to include here. 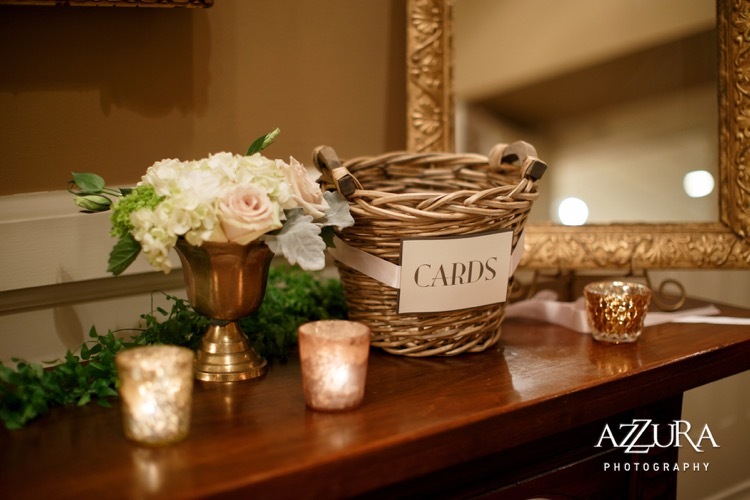 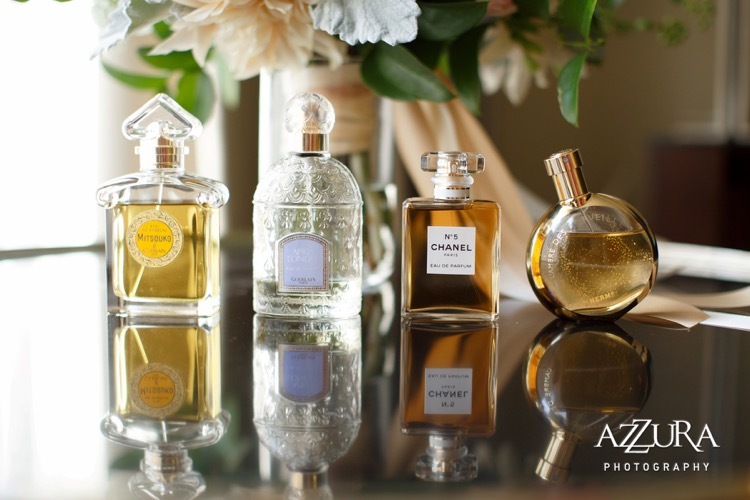 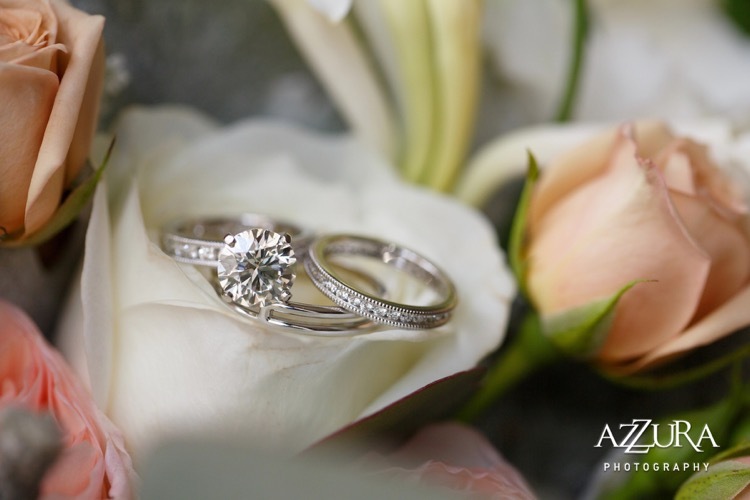 Thanks to Azzura Photography for capturing it all so well. 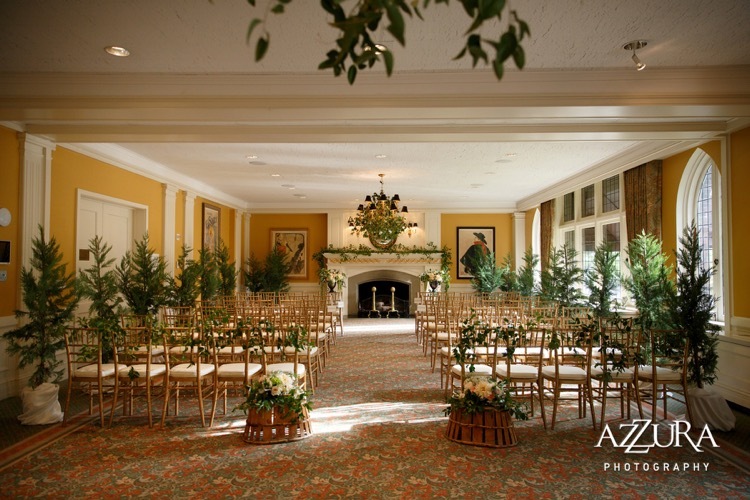 For the ceremony & cocktail hour we lined the rooms with potted cypress trees and twined garland greenery above and about. 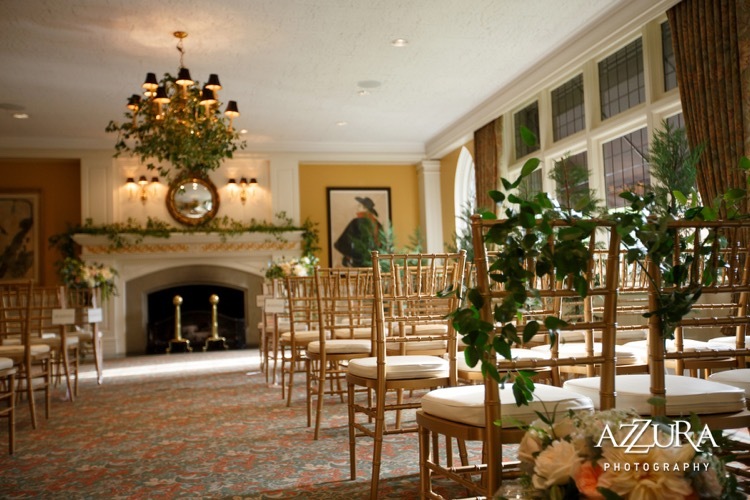 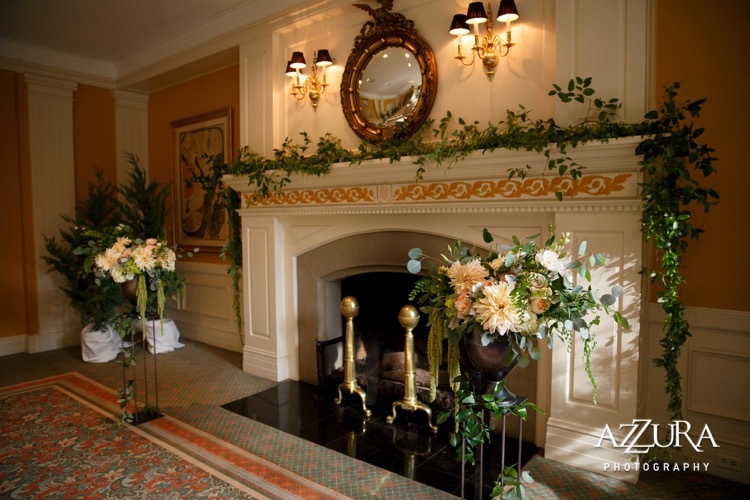 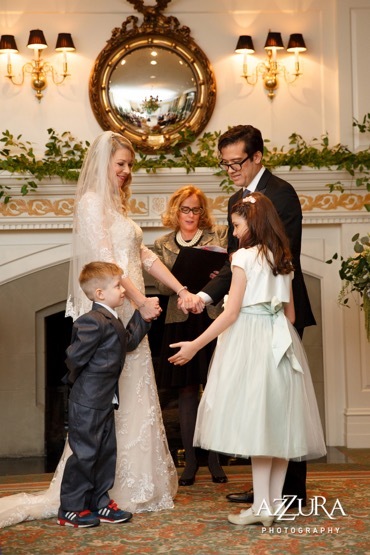 Two florals were placed at the start of the aisle and atop pedestals on either side of the altar fireplace. 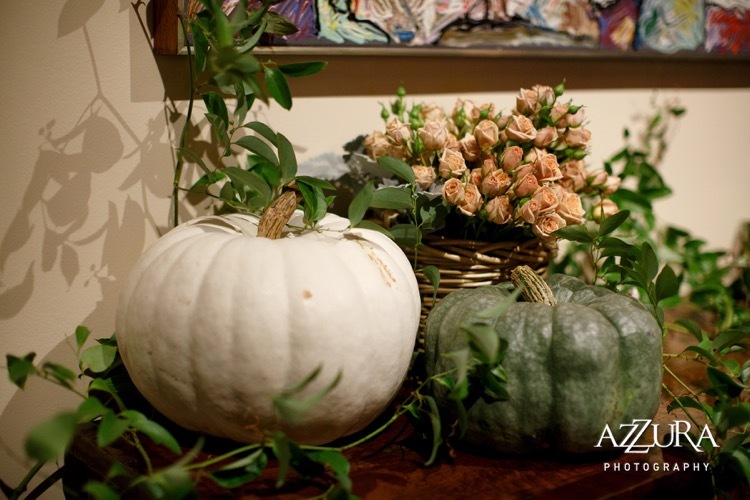 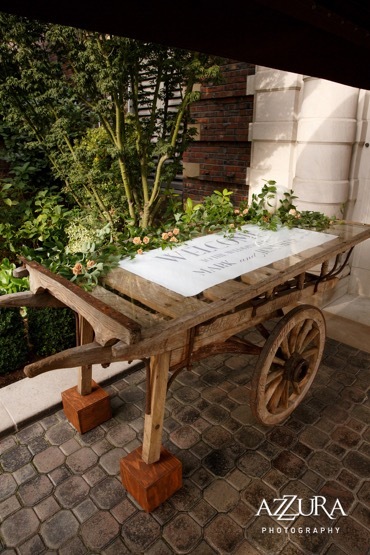 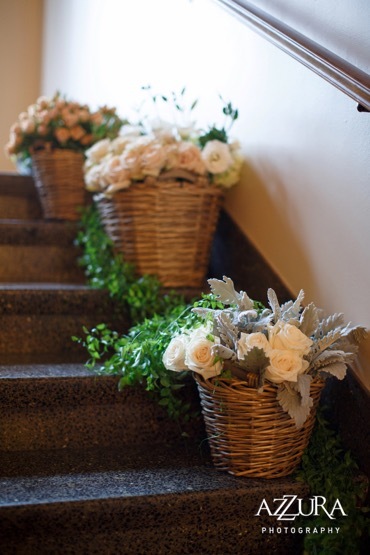 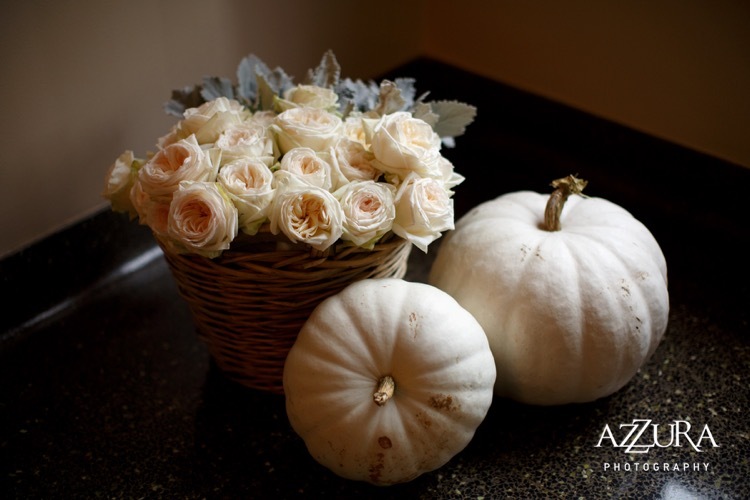 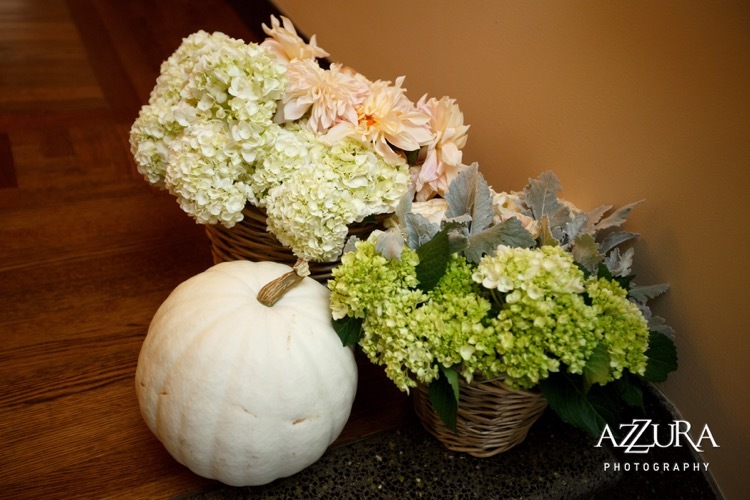 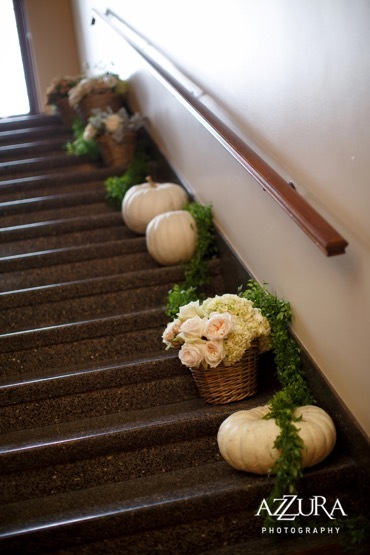 For the entry, we placed baskets of flowers & white and sage green pumpkins in clusters up the staircase. 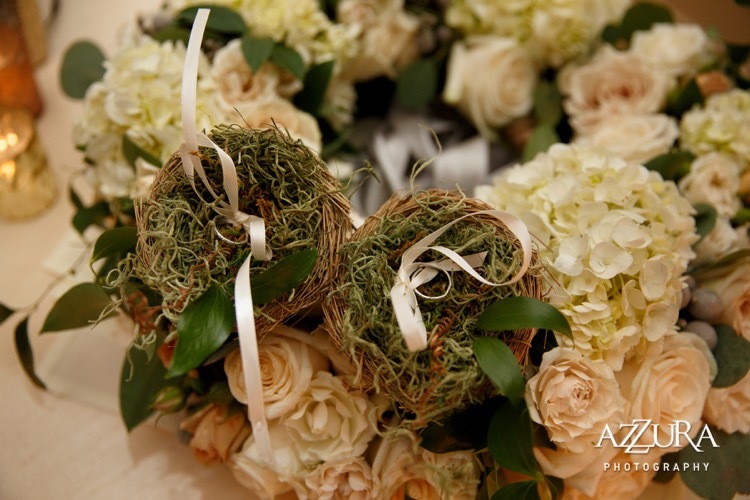 Delicate garland was woven in and around them. 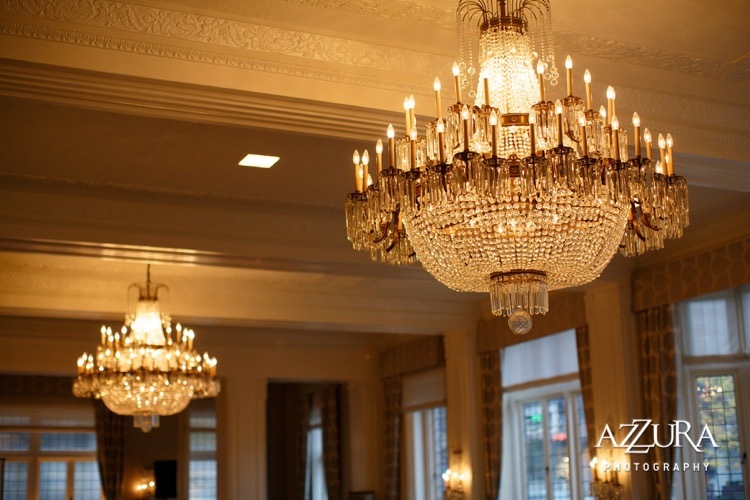 The reception was held in the dining room under Seattle’s most impressive chandeliers. 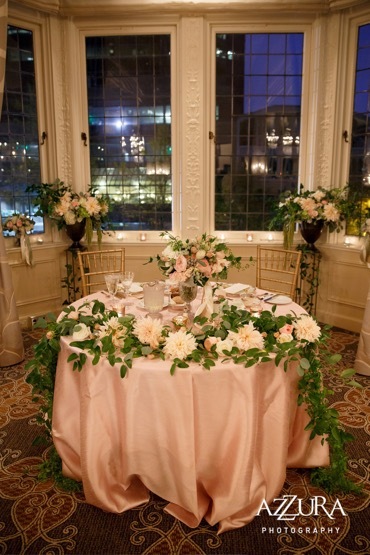 Each guest dinner table had a lush centerpiece and the sweetheart table had a garland with blooms tucked in to span the front and spill off the sides. 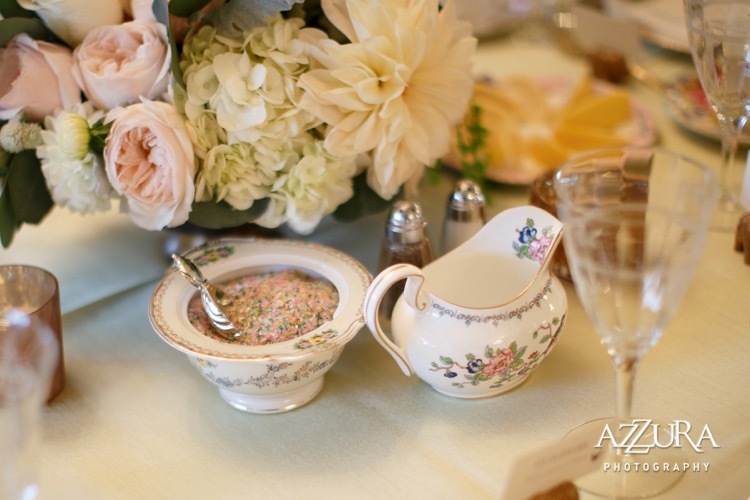 Garland continued to meander along the tea cart, dessert & cake tables. 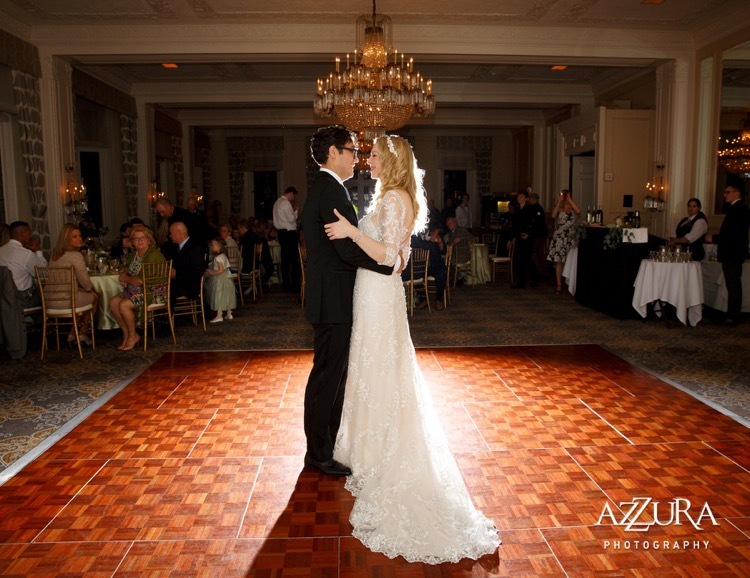 A beautiful night, for a beautiful couple!